Yes, all of the DoR stuff I've put into this quest is not working to my liking, as I need more practice with the DoR tileset. The new tileset used will be Classic DX. With this change, the finished product is likely to be released faster. You know, as much as I love looking at those nice tilesets, I'd never try to use one these days. I just know that I would get burned out. Classic XD is a good launching point, with some nice palettes. Good luck! Thank you. I hope to get this done ASAP. 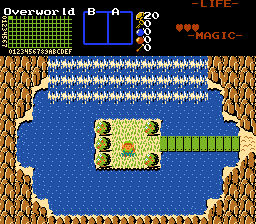 You know, as much as love looking at those nice tilesets, I'd never try to use one these days. I just know that I would get burned out. Classic XD is a good launching point, with some nice palettes. Good luck!